Nollywood actress Chika Ike is a proud giver. The recently divorced star who started her own charity organization named Help A Child has been recognized for her positive contribution to humanity. 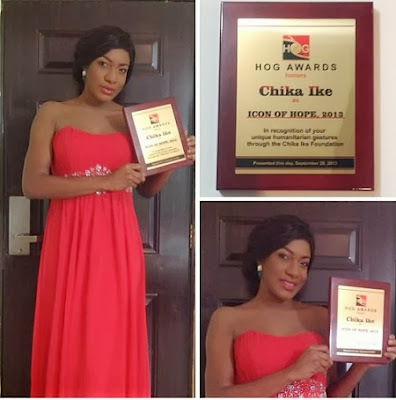 On Friday the 27th of September she was given HOG (Hall of Grace) awards for her charity works. 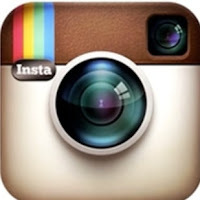 She immediately took to her Instagram page to share the joy with fans. HOG award is know to reward exceptional Nigerians in their chosen careers and contribution to Nation building and is initiated by Chief Alex Akinyele. Stop smoking shisha ok,u are good god wil bless u, u desrve de award…..
i luv u so mch nd u desrv d awards,keep doin wat u luv bst nd God wil bless u.
I’m happy 4 u, thank u dearie!